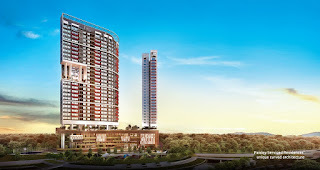 Paisley Serviced Residence is located at Tropicana Metropark in Subang Jaya, Selangor. Paisley comprises two serviced residential towers is structured with a curved design atypical to the area, angling away from the second block to maximise open area. The intelligent architecture creates personal space between residents while offering a panoramic scenery – 9.2 acres of sculpted greens and a 750m canal along the Central Park. 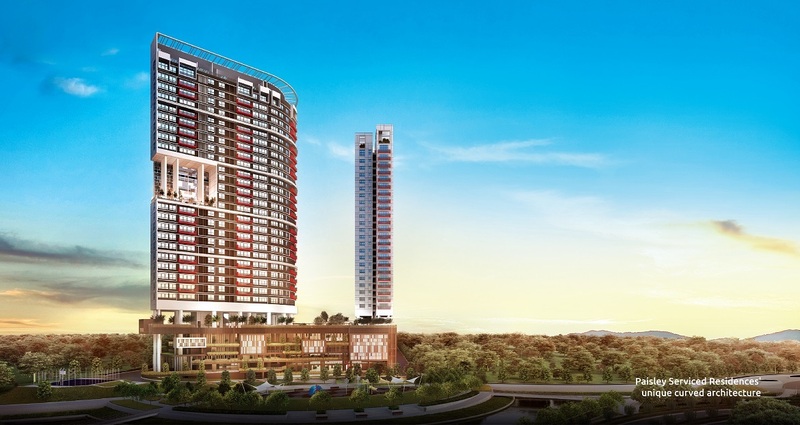 Paisley Serviced Residence has a total of 587 units, each has a built-up area ranging from 601 sq.ft. to 1,516 sq.ft. Facilities at Paisley include squash court, open veranda, BBQ terrace, vista lawn, sunset trail, oasis pool, floating lounger, aqua gym, sun deck, lounge pool, jacuzzi, lap pool, cabana, living corner, reading nook, multipurpose hall, pre-function area, amphitheatre, plaza, herb garden, creche room, reflexology room, wadingpool, children’s water play, children’s playground, scented garden, half junior basketball court, BBQ terrace, music room, games room, multipurpose room, gymnasium. Built-up Area : 601 sq.ft. - 1,516 sq.ft.